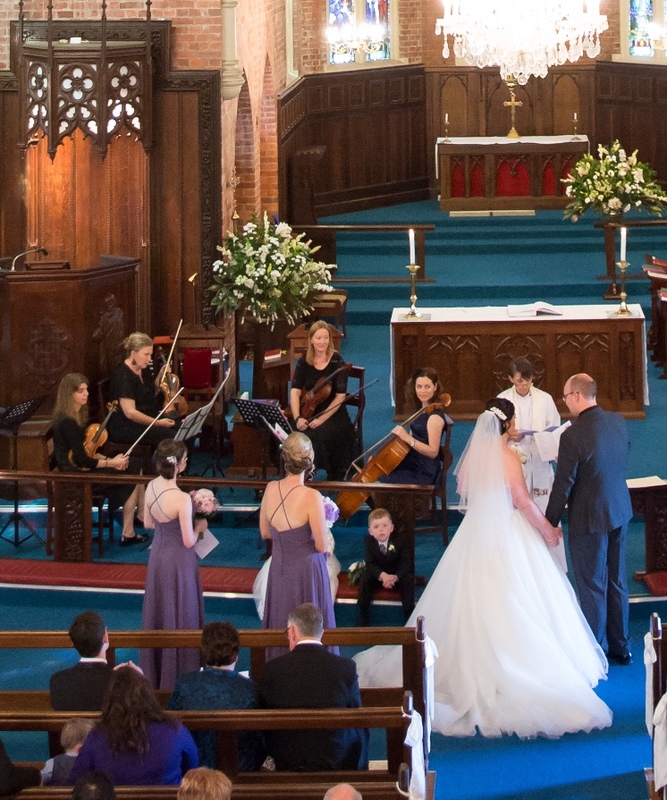 THE Jarger String Quartet is a professional and highly experienced Brisbane-based string ensemble. 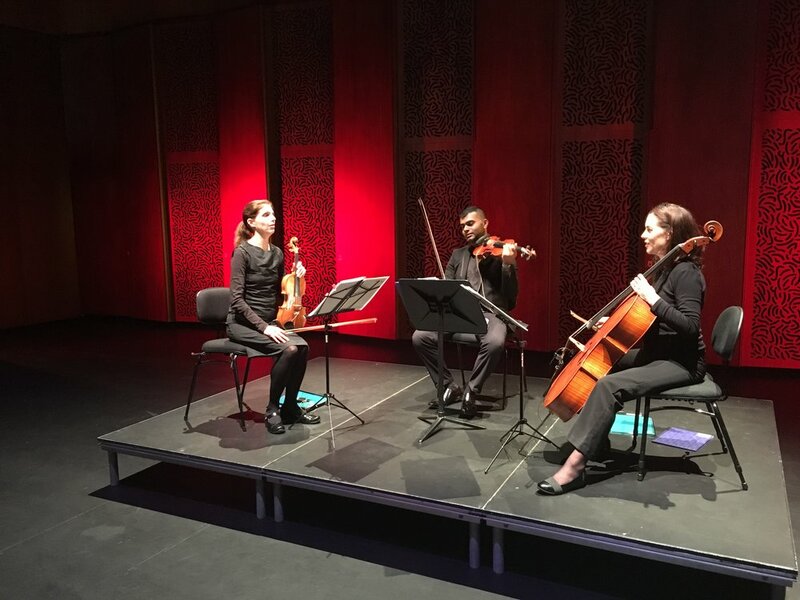 We are dedicated to bringing our Brisbane clients the highest quality ensembles with our string quartet, trio or solo combinations. Let us add the magical musical sparkle to your event! With more than 15 years experience playing as an ensemble, we are specialists in performing at weddings, private parties, fund raisers, corporate events, special events and other occasions. Jarger Strings knows how important it is for you to have a successful event and our music will create that special ambience and mood. We will ensure your event is relaxed, uplifting and wonderfully memorable. We offer Classical, Popular, Broadway, Tangos, Ragtime, Jazz Standards and the heart-felt melodies from the movies! 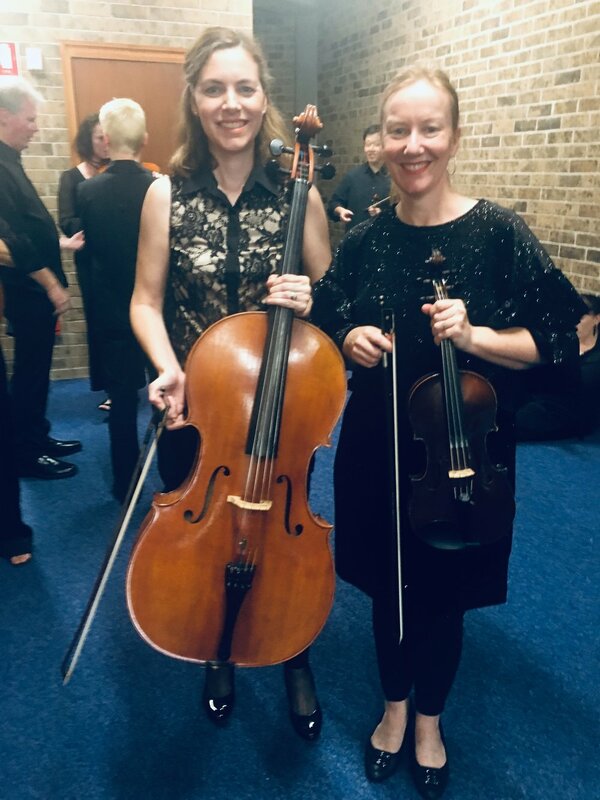 Jarger Strings combines the talents of a number of Brisbane string players including Sally-Ann Djachenko (violin), Yuri Djachenko (violin/viola), Teena Sullivan (viola) and Amy Allen (cello). Sally-Ann is a Scottish violinist who studied at the RSAMD (Glasgow), RAM (London) and the Queensland Conservatorium (Brisbane). Career highlights include playing with the European Community Chamber Orchestra, Los Angeles Philharmonic, Royal Philharmonic Orchestra and Scottish Chamber Orchestra. For the past 7 years she has been a member of The Camerata of St John’s, and also the Queensland Pops Orchestra. Yuri is an Australian violinist, violist, teacher and educator who studied at the Queensland Conservatorium of Music (Griffith University), Hobart Conservatorium of Music (Tasmania Univeristy) and the University of Queensland. He has worked extensively in the UK, Finland and Australia. In recent years Yuri has acted as principal viola for the Canberra Symphony Orchestra, and plays regularly with the Queensland Pops Orchestra. Amy has completed Bachelor of Music majoring in Performance with Distinction (2000), from the University of Alberta (Canada, 2000), an A.Mus.A diploma in ‘cello and Graduate Education degree (2006). She has recently been performing with a new contemporary Jazz ensemble ‘The Wendy Murray trio’ featuring popular Brisbane based jazz/Latin singer Wendy Murray and Clint Allen on piano. Violist Teena Sullivan studied at the QLD Conservatorium of Music under Elizabeth Morgan and John Curro where she obtained a Bachelor of Music (Hons). Teena's performing experience includes playing lead viola in the Brisbane Philharmonic Orchestra, playing in a string group as the support act for Gloria Estefan and for many couples' specials day at their weddings. Classical music has typically accompanied a wedding service because its aesthetic refinement symbolises the purity of sensibility and emotion involved. Mostly, clients leave music selection to our discretion. However, if you have requests or are unsure about appropriate music for your ceremony, then let us assist you for your special occasion. These booking times cover the service nicely by providing music for around 15 minutes pre-ceremony and 5 minutespost-ceremony. Our booking time should start 15 minutes before the Processional starts. For example, if the Processional starts at 3.00pm, then we should be booked from 2.45pm-4.15pm (one hour and a half). Jarger Strings has literally hundreds of pieces in their repertoire! We are generally able to arrange a popular piece of your choosing with adequate notice. A complete repertoire list is available upon request. 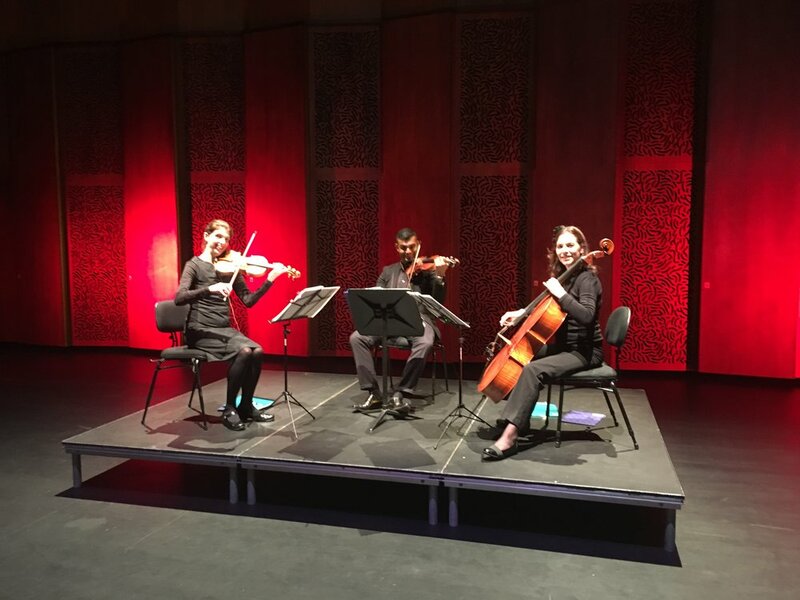 The Jarger String Quartet is a Brisbane-based group, but we frequently travel outside Brisbane for performances on the Gold and Sunshine Coasts. Please note that a venue with travel time 40 minutes or more from the CDB is calculated on the higher rate.